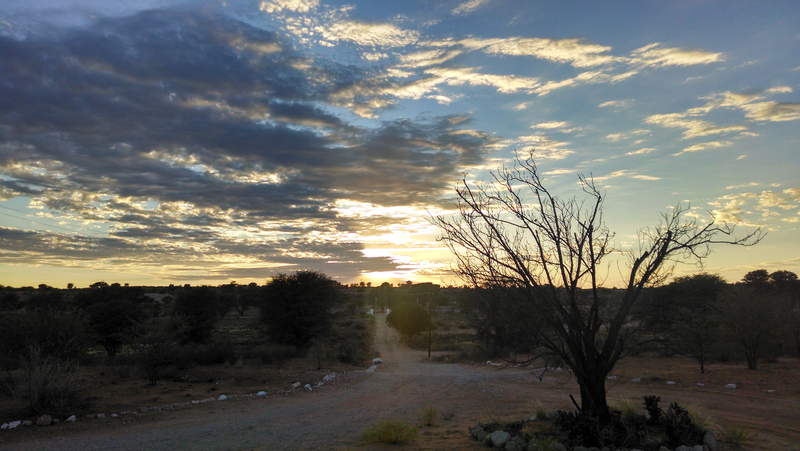 We woke up the next morning at the Kalahari Trails at 5:30 AM and went for an hour long walk around the property. The owners also do a night drive where you get to see some actual animals which is supposed to be pretty cool. Many of the animals in the area only come out at night because it is so hot during the day during the summer. We saw tons of animals whose names I can't pronounce, along with Trapdoor Spiders, and the Shongololo which is basically a millipede. Sadly I don't have any pictures from the walk, but this was the view of the sunrise. The shongololo (I have no idea what the plural is) actually have arsenic in the oil coating their skin, which makes them mostly inedible. When meerkats are very hungry though, they rub the shongololo in the sand until the oil comes off, and then only eat two thirds of the body so that they do not eat the glands that make the arsenic. Moving on, we had to travel ten hours in the car today so we could make it to the Gannage Lodge (the website makes it look horrible compared to what it's actually like). 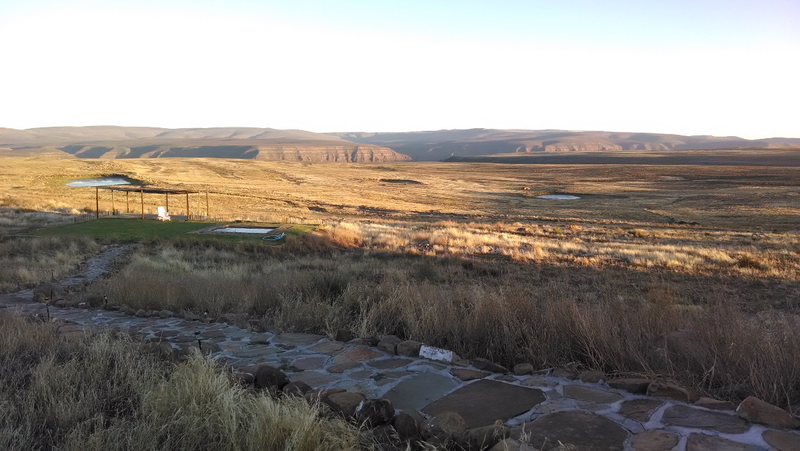 It's a small guesthouse type place about 30 km from Middelpos, which itself is in the middle of nowhere. Once we got there, the host greeted us and set us in our rooms which were quite nice. Pictures don't even come close to telling how beautiful it was though. There was also a small little pool, but the water was clear and clean. It was also probably the best tasting tap water since we had hit Cape Town. We just relaxed the rest of the day, and for dinner I had a delicious neck of lamb. Since the land can pretty much only support sheep for agriculture, there wasn't much of a choice if you wanted meat for dinner. The next day, we went on a walk in the morning. 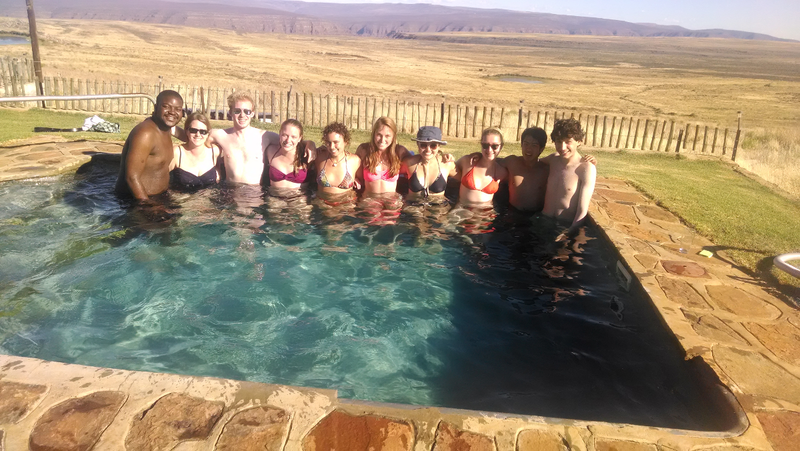 The lodge is located just on the edge of the plateau, around 1200 meters above sea level. 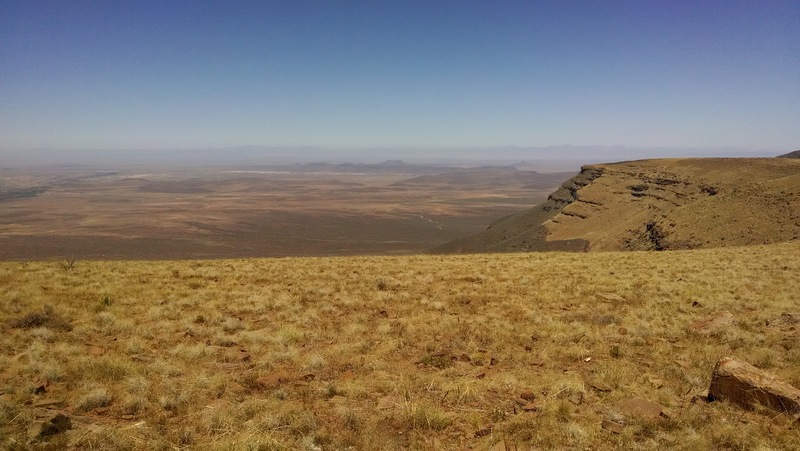 We walked up to the edge of the escarpment to see the Tankwa Karoo National Park which sits around 450 meters above sea level. Later that day we went to Middelpos and talked to the farmer there. He makes goat cheese and milk, and also breeds dogs. Apparently his dogs have one a few international dog shows recently, although it his English was not perfect so it could have been clearer. Almost nobody in the town actually spoke English to be honest, since we were firmly in an area where most people speak Afrikaans. The farmer also started to talk about the man who owned the lodge, Robert Black. We talked together at the bar at the Gannage Lodge and he had already said he was from Lockerbie and that he had been a professor of law and University of Edinburgh. It turns out he is actually quite famous for his role in the Lockerbie Bombing. Here we were in the middle of nowhere and we had all been talking to a very influential man. 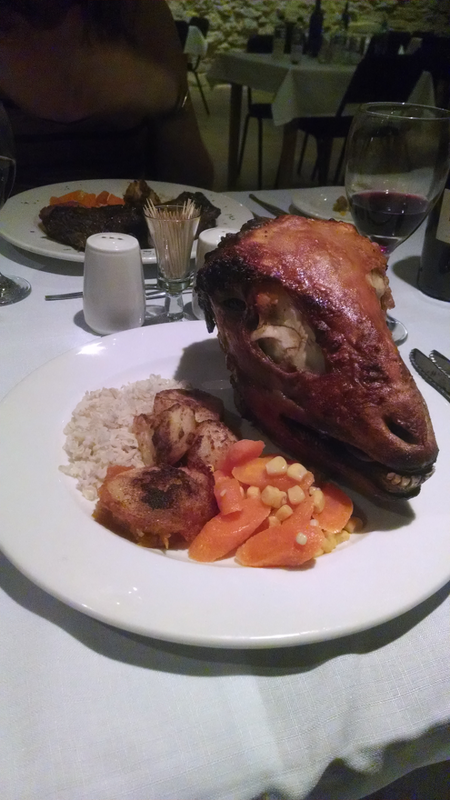 Moving on, for dinner I had a skaapkop, which is lamb's head. It was actually quite tasty, although far too much effort to eat. Instead of describing how to eat it, here's a picture. Finally, the next day we all drove home. 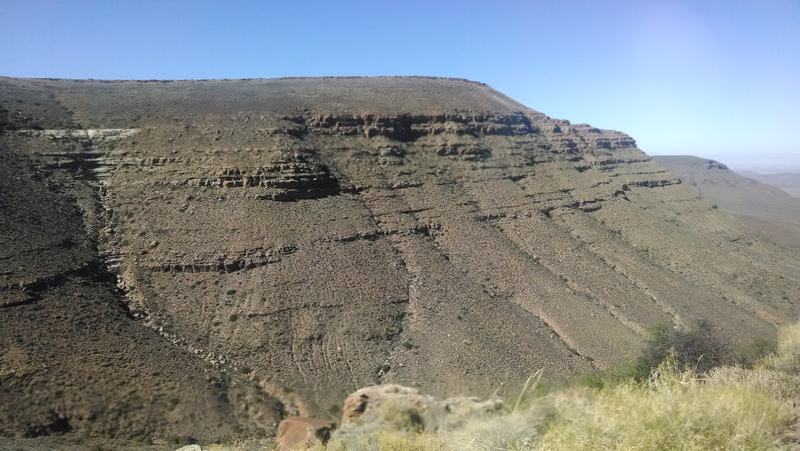 The path down the escarpment was all switchbacks (zig zags) and the view was amazing. It took about five hours to finally get back to Cape Town. It was a little bit strange getting back to the house after all of the time spent away, but damn it was a fun trip.